On this day in history, September 14, 1728, Mercy Otis Warren is born. Mercy would be an important writer during the Revolution and an adviser to numerous political leaders of the time. She would also be the first woman to publish in the United States and would write one of the early histories of the American Revolution. Mercy Otis was born in West Barnstable, Massachusetts in 1728, the third child in a family of 12 children. Her father, James Otis, Sr. was an influential lawyer and attorney general of Massachusetts. Otis, Sr. was a staunch anti-British patriot from early on and Mercy learned many of her political views from him as a child. Even though she had no formal education, Mercy was tutored by a local minister with her older brother James (who would become a leader of the patriot movement). She became extremely well read and knowledgeable about politics for a woman of her time. Mercy married James Warren in 1754 and went to live with his family in Plymouth. James would eventually be elected to the Massachusetts House of Representatives, where he would become the Speaker of the House. After the Revolution began, James was elected the president of the Massachusetts Provincial Congress and served as a paymaster to the Continental Army. Having a father who was a formal attorney general, a brother (James) who earned the nickname "Father of the American Revolution," and a husband at the head of the rebel congress, Mercy was immersed in the politics of the day. 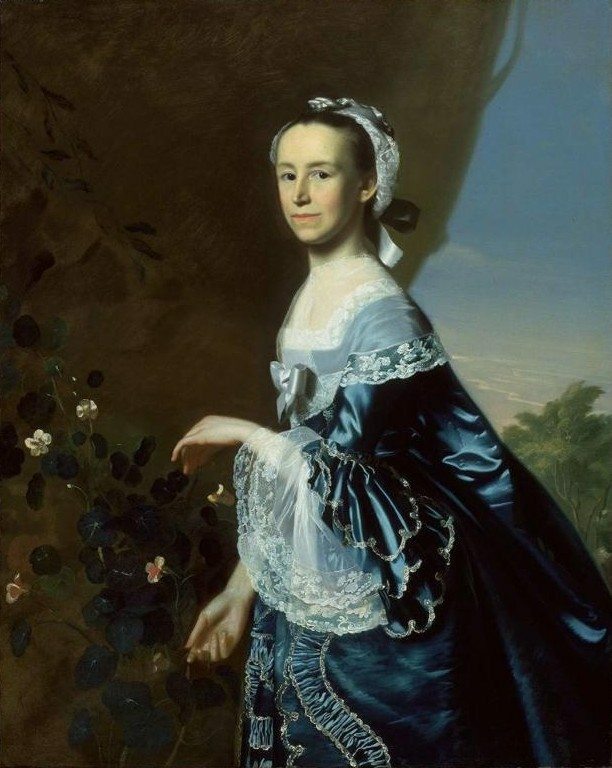 She was close friends with and a writing correspondent with such people as Sam Adams, John Adams, Abigail Adams, John Hancock, George Washington, Patrick Henry and Thomas Jefferson. James and Mercy often hosted meetings of the rebel political leaders in their home. The Massachusetts Committee of Correspondence, which Samuel Adams said was the most important thing that took place to get the colonies working together, was formed in the Warren's living room. Mercy used her extensive knowledge of history and politics to become an influential writer in her own right. She published several plays before and during the war that satirized and criticized British rule and policies, although never under her own name, which would have been unusual for a woman of the time. In 1788, she published Observations on the New Constitution, which was critical of the new constitution and called for a bill of rights. Some believe this writing was instrumental in the creation and adoption of the Bill of Rights into the Constitution. In 1790, Mercy published her first work to be published in her own name, Poems, Dramatic and Miscellaneous, which contained 18 poems and 2 plays designed to educate about the virtues necessary for the new nation to succeed. 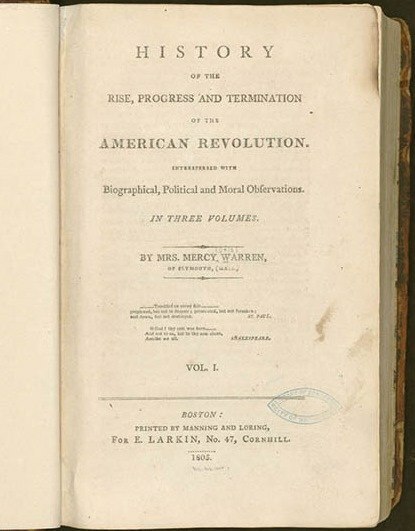 In 1805, she published her most substantial work, the 3 volume History of the Rise, Progress and Termination of the American Revolution, one of the first histories of the Revolution to be published and the only one of that era to be published by a woman. Mercy Otis Warren passed away on October 19, 1814 at 86 and is buried at Burial Hill in Plymouth, Massachusetts.